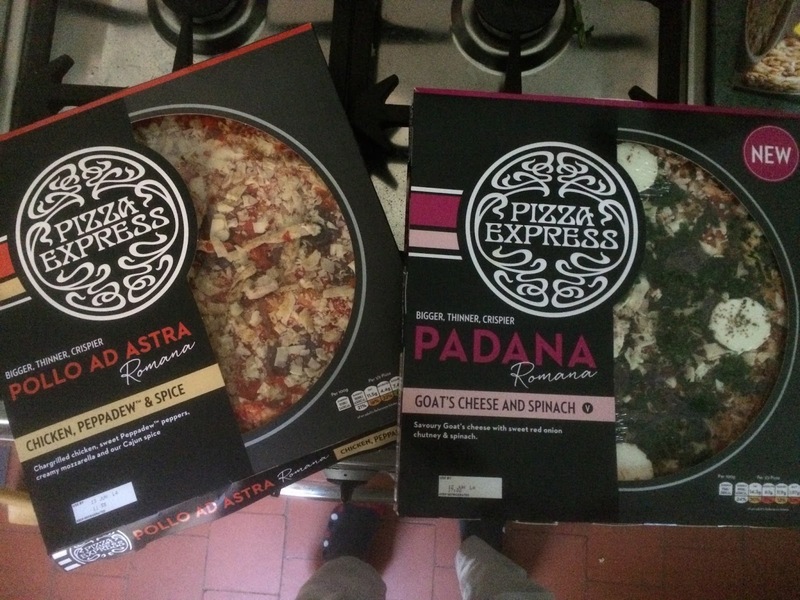 A couple of new pizzas popped up on the Ocado list in June and so we got a few to try out! 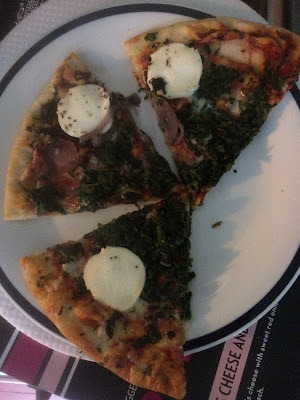 Here is the veggie option - Goat's cheese and spinach. While I'm not really a fan of cheese in general I am a fan of spinach on pizzas. 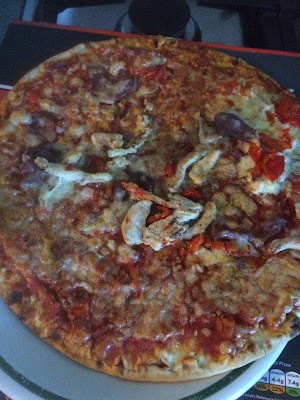 This one was light enough to eat the whole pizza - even though it didn't really fit on our plates.